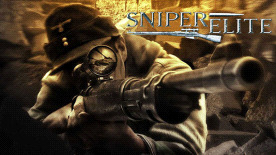 Sniper Elite © 2005-9 Rebellion. Developed by Rebellion. Sniper Elite contents and technology © 2005-9 Rebellion. The ‘Sniper Elite’ and ‘Rebellion’ names are trademarks of Rebellion. Uses Bink Video Technology. Copyright © 1997-2003 by RAD Game Tools, Inc.